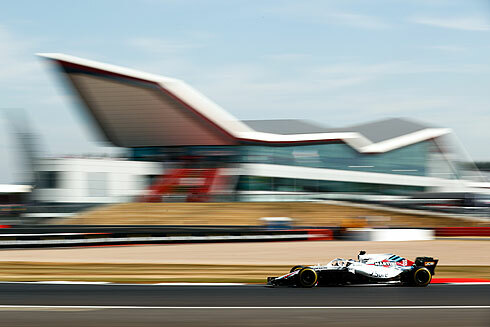 The final practice session for the 2018 British GP would see a similar result to previous sessions with both Williams Martini drivers finishing well down the times. Lance Stroll would be the quicker of the two finishing in 16th while team-mate Sergey Sirotkin was 17th. Again the FW41 looked like quite a handful as the drivers continued to try and find improvements. Neither driver would have any issues during the session running only on the soft tyre. The final practice session for the 2018 British GP would get underway and after the first runs it would be Raikkonen fastest with a time of 1 m:27.607 set on the soft tyre. Behind him was Vettel, Verstappen, Grosjean, and Gasly sixth. Only these drivers had set times when the session would be red flagged as a result of a major crash from Hartley when his left front suspension failed seeing him leave the track at high speed and crash into the barrier. Harley was able to get out of his car. The car would be removed and Hartley would attend the medical centre. With thirty three minutes remaining the session would restart. Up to this point neither Williams had been out on the track. Hamilton would move up to second behind Raikkonen also on the soft tyre. 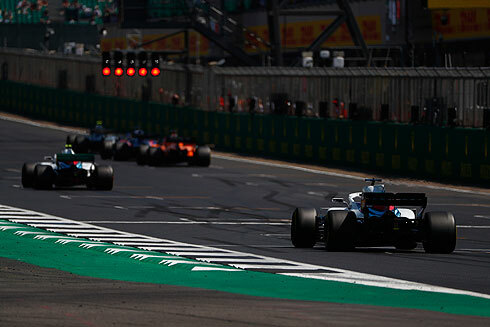 Bottas was now fourth and Leclerc fifth followed by Verstappen, Magnussen, Alonso, Grosjean and Ocon. But the order would change as Ericsson moved up to seventh. After their first runs the Williams pair were 17th and 19th. Hamilton would go quickest with a 1m:27.442 followed by Raikkonen and Vettel. Verstappen and Ricciardo were sixth and seventh, but Ricciardo was on the medium tyre. ON new soft tyres Raikkonen would go quickest with a 1m:27.199. He would improve with a 1m:26.815 to now be 0.5 ahead of Bottas and Hamilton. Vettel was fourth followed by Leclerc and Ericsson. Hamilton would respond with a 1m:26.722 to go quickest. Ricciardo was back out now on soft tyres. He would improve to be fifth. But Verstappen would move ahead seeing the Red Bull cars fifth and sixth. Leclerc was now seventh ahead of Magnussen, Grosjean and Ericsson. The drivers would be allowed to complete practice starts with the end of the session. Of the top ten six of the cars were Ferrari powered. For the Williams team their drivers were 16th and 17th. Lance would also come out for his first run also on the soft tyre. A 1m:30.809 from Lance would see him 16th. He would drop to 18th but with a 1m:30.396 he would be 17th. Lance would set a 1m:30.011 to now be 16th. Lance would pit after a seven lap run. Lance would return with just under five minutes remaining running on new soft tyres. A 1m:29.829 from Lance would see him 16th one place ahead of his team-mate. The session would end with Lance remaining in this position. Sergey would take to the track with only half an hour remaining and he would come out on new soft tyres. He would set a 1m:31.003 on his first flying lap to be tenth. Quickly he would drop to 19th. Sergey would improve with a 1m:30.020 to now be 17th. He would also pit after a nine lap run. After a short stop he would return and after his first laps would remain 17th. But he would drop to 18th and would pit briefly. His next flying lap would see a 1m:29.984 to be 16th. 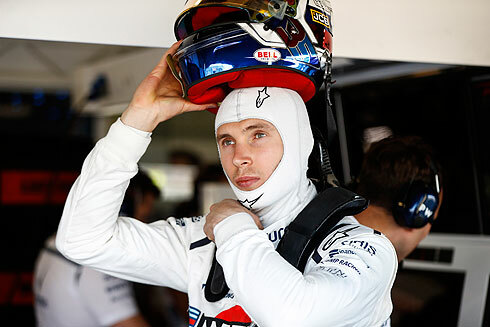 As his team-mate improved Sergey would be 17th as the session ended.